XFP Optic Transceiver is the 10Gigabit small form pluggable transceiver, which is protocol independent optical media conversion equipment. XFP modules are designed for single mode fiber and operates at a nominal wavelength of 850/1310/1550 nm. They can operate over a single wavelength or use dense wavelength-division multiplexing techniques. They are widely used in 10 Gigabit Ethernet, 10 Gbit/s Fibre Channel, synchronous optical networking (SONET) at OC-192 rates, synchronous optical networking STM-64, 10 Gbit/s Optical Transport Network (OTN) OTU-2, and parallel optics links. Nowadays, XFP is the most compact size and low cost 10G transceivers. 10g XFP feature its most compact size and most economic prices compared with its former 10g transceivers and this help it took a lot of the market. 10 Gigabit Ethernet port on the switches and routers are usually independent and can be installed with pluggable fiber optic transceiver modules, which make it more convenient for end users. 10g XFP is the small form factor pluggable transceiver designed for the 10 gigabit network applications. When IEEE 802.3ae was made in 2002, Ethernet standards had expanded to the 10ge, the 10g Ethernet increased the data rate by 10 times than gigabit Ethernet and the working distance also enlarged a lot compared with before. 10g XFP is designed based on these standards, and will also support OC192/STM-64 and 10G Fibre Channel. Typical 10g XFP in the market include SR, LR, ER, ZR versions. XFP SR is 10Gbps fiber optic transceiver working at 850nm wavelength, XFP SR typical working distance is 300 meters; XFP SR is suitable for use in 10G datacom (belly-to-belly for high density applications) and storage area network (SAN/NAS) applications based on IEEE 802.3ae and Fiber Channel standards. XFP LR is hot swappable fiber optic transceiver used for 10G networks like 10 Gigabit Ethernet, SDH, SONET, XFP LR support data transfer rate from 9.95Gbps to 11.1Gbps, max working distance of the XFP LR fiber transceiver is 10km. XFP ER adopts cooled EML laser diode and PIN photodiode, XFP ER is 10G fiber optic transceiver, which is fully compatible with XFP MSA and IEEE 802.3ae-2002, max working span of the XFP ER is 40km. 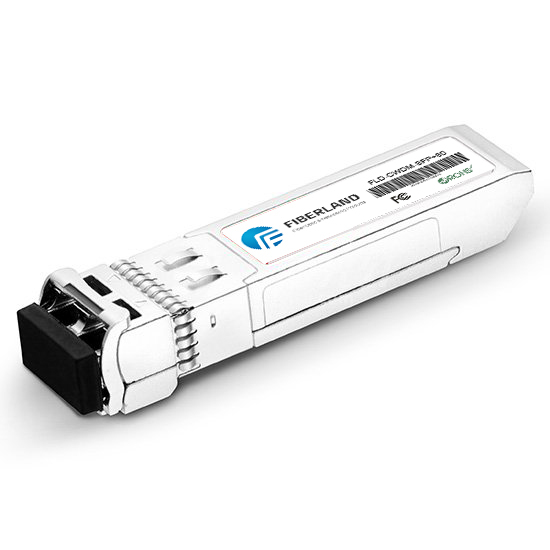 XFP ZR is 10Gbps fiber optic transceiver which is compatible with IEEE 802.3ae and Fiber Channel standards, XFP ZR use single mode optical fiber and its max working span could reach 80km, XFP ZR use 1550nm working wavelength, this fiber optic transceiver use dual LC fiber interface and the other end of the module could fit into relevant XFP slots or ports.